Radin Capital Partners specializes in international/global small-capitalization equities with a focus on classic opportunistic value investing. 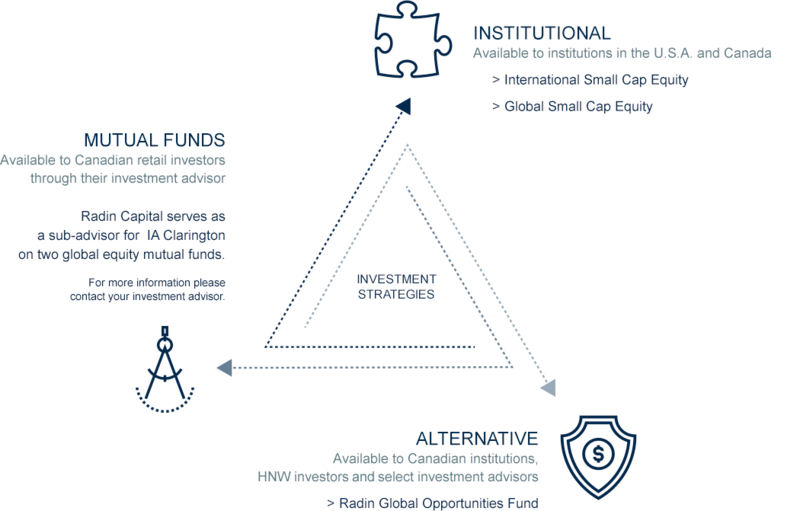 Radin Capital believes that one of the most inefficient areas in the global investment universe – with its bigger opportunity set, cheaper valuations, better growth potential, poor coverage and less liquidity – is international/global small-cap equities. We specialize in this niche asset class and strive to exploit pricing inefficiencies over the long term. Repeatable relative outperformance is our goal. We prefer small cap over large, value over growth, bottom-up over top-down, long term over short, fundamental analysis over technical, and concentrated portfolios.